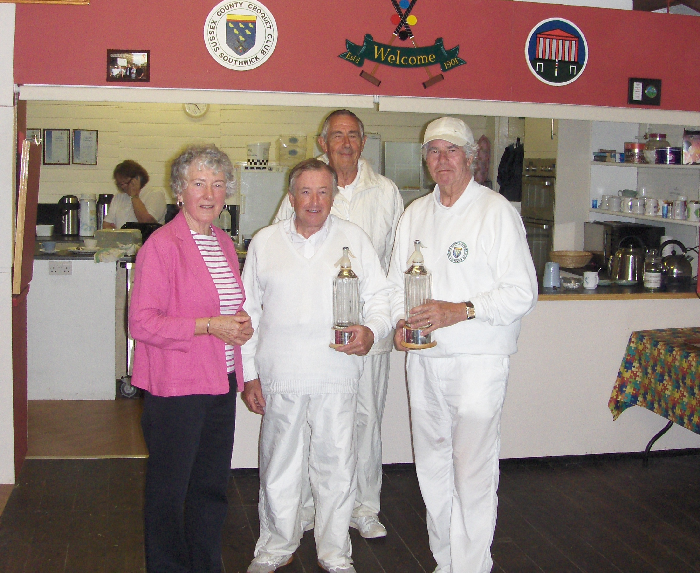 The Alternate Strokes Doubles Competition for the Castell Soda Syphons was won this weekend by Alan Rew (for the second year running) and Alan Theobald. Alan and Alan won all five games. The runners up were Colin and Georgeen with 4 wins. The weather was mixed and the final game had to be abandonned due to flooding. There are some more pictures here.